Thinking about presentation is all well and good, but what about the pictures? Dayanita Singh’s work always fascinates and the museums work for me as much for what is hidden as for what is shown with tantalising hints of pictures stashed behind pictures. Of all the museums, the pictures I was most familiar with before the Hayward show were the File Room series which I also saw in the German Pavilion in Venice. 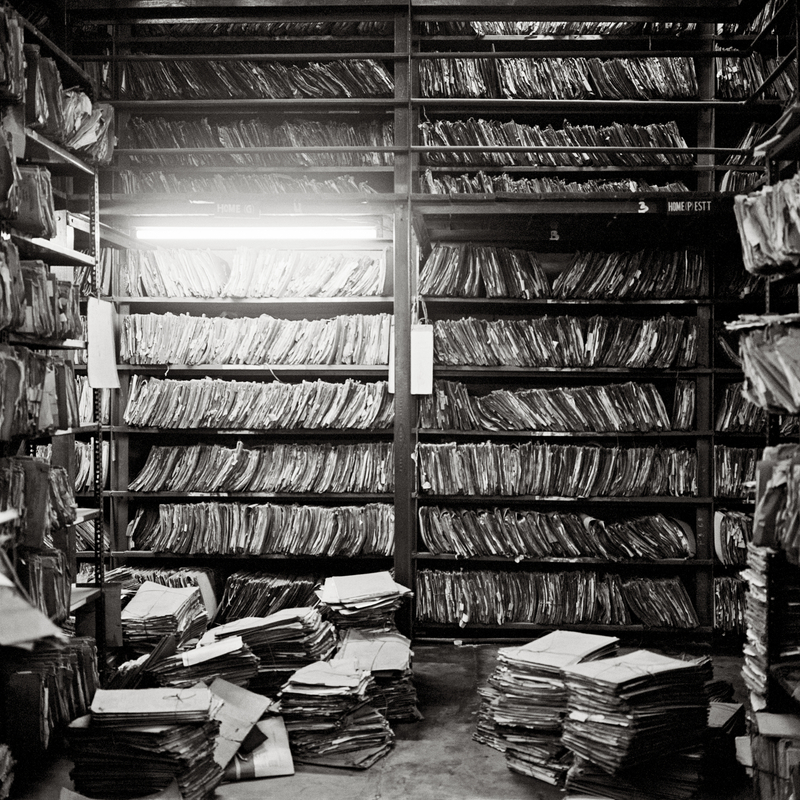 The pictures, as far as I’m aware made almost by accident with Singh drawn to photographing the files in the places she visited without initially realising it, show the file rooms of various institutions in India – courts, state archives, local government offices and the like – documenting the extraordinary paper-based bureaucracy that supports a nation with a population in excess of a billion. Over time, of course, digitisation will eliminate the vast accumulation of paper. But in the meanwhile, in archive after archive and office after office, the paper piles up. Dayanita Singh is best known for making books and the books are much in evidence in Go Away Closer, the Hayward Gallery show. As a way of getting art photography to a wide audience this is a strategy with much to recommend it – and it’s certainly one a lot of people are working with right now – but for me it’s no substitute for seeing a great print. 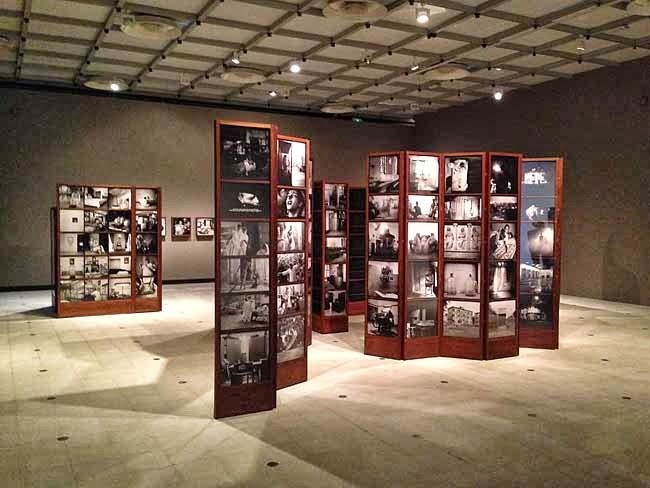 And, in the case of Singh’s work, it’s another display strategy that interests me more: her portable museums, displayed here as a group as Museum Bhavan.